We take pride in the size and quality of our digital lab. 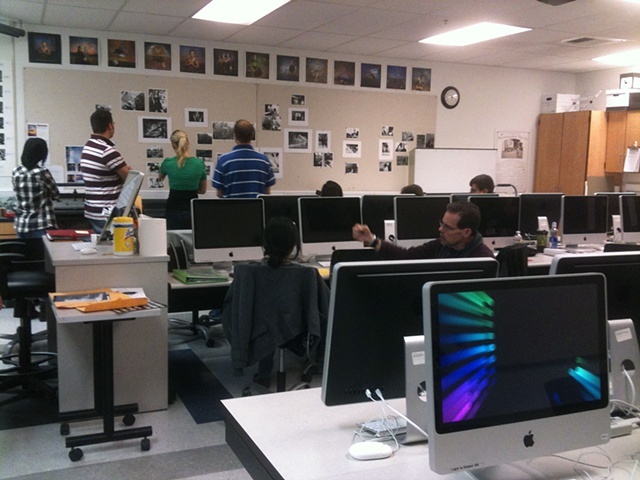 Our digital lab contains 28 macs with up-to-date Adobe software and photoshop plug-ins. Lightroom, Photoshop and Bridge are commonly used, and we also have Nik as well. We have high quality epson printers and negative/film scanners. We also have a dedicated server that allows teachers and students to instantly transfer files to each other.